While natural disasters cause more downtime than cyber attacks, when you are in the middle of figuring out a cyber attack, it really doesn't matter. Dealing with downtime not only costs your business time and money, but a breach in your security can be crippling for your infrastructure. Since much of the IT industry is based on efficiency and everything happening in a very rigid sequence, downtime can be a killer. So what is it about cyber attacks that cause downtime and lead to losses in time and money? How do these cyber attacks from hackers get into your infrastructure and ruin so many of the security walls that you and your IT team have spent hours building? 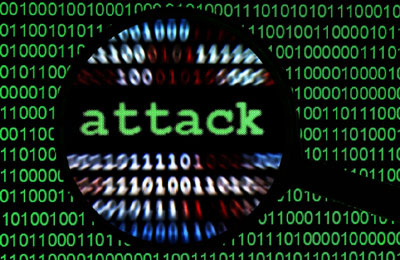 Cyber attacks usually focus on stealing, destroying, or altering your data, mainframe, or infrastructure. This could happen in several ways from malicious data mining to changing the passwords for your security, to destroying all of your company's data. These attacks range from pranks to serious threats to your business and your clients. Picking up the pieces from these serious attacks can be like trying to piece together a crime scene and figuring out suspects. In essence, it can all be like a crime drama from the investigation, to the accusation, to the arrest and trial for the hacker, especially if they have committed a cyber crime against your business. A cyber attack is basically a hacker or team of hackers getting around your security and wreaking havoc in your network. Whether they get in and destroy or steal data, or install a program to collect information, or they are just up to shenanigans, the breach in your security takes time to fix. The worst part is that these fixes require your network to be shut down and that means that anything that your business relies on the network for to stop. Breaches in your security system are the easiest ways for hackers to get into your system. The downtime originates from going through any information that has been accessed by the hackers. This can mean anything from quarantining a single computer to going through thousands if not millions of lines of security code to figure out exactly where the hackers have been in your system. In some cases, hackers have installed trojans that have remained undetected for years since they were able to cover their traces to such an extent that no attack was reported by the security. While these cases are extremely rare, they can be some of the most serious because of the constant data mining that can be going on without your IT team knowing. Another aspect of downtime is the painstaking effort it takes to rebuild a completely new security system. Ensuring that there are no breaches in your security system takes even the best IT team plenty of time and effort to make sure that everything is just right. One of the best ways to prevent attacks is a multi-layered security system. Like building several fences or walls around your home, the more security layers your company has, the harder it is for breaches to occur since walls can cover up for each other here and there. Overlapping your system, like a resealable plastic bag closure, can make it that much harder for hackers to find holes in your security. The faster you can discover a breach, the faster you can go about discovering and fixing any problems that have occurred because of the attack. One of the best ways to detect a cyber attack quickly is by updating your system regularly. With regular updates, your system will reveal any problems that were not present with the last update. Security updates can also help your IT team locate holes in your network's security before they present a problem. There are several important things that your company can do in order to ensure that productivity and downtime losses are minimal, and regular updates are one of the best steps that you can take. Passwords are also some of the best ways to prevent cyber attacks and reclaim your system if or when a cyber attack occurs. The stronger your passwords are, the harder it is for hackers to decode them and get into your network. Along with passwords, regular housekeeping can go an incredibly long way in ensuring that your security system is capable of defending cyber attacks and hackers. If your company deals with large amounts of data, then security has to be at the forefront of your mind. Another step that you can take is making sure that your whole company is on board with security procedures. From strong passwords to regular updates to housekeeping, a company that is able to monitor itself and watch its own security will go a long way in minimizing downtime.